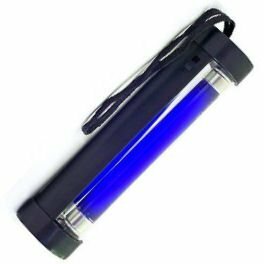 GREAT portable UV light to help locate hidden urine stains. 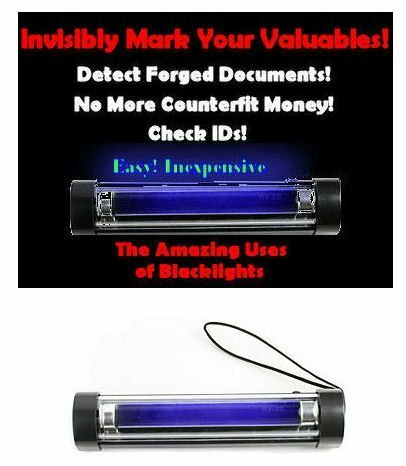 Seek and Destroy those hidden odors with this handy blacklight. You'll wonder how you ever lived with out it. •Compact, light weight and easy to use. •6" with clear plastic covering over light. •Correct nanometer for optimum illumination. •Includes handy nylon carrying cord. •New in Box. •4 watts. •Battery operated. Uses 4 AA batteries. 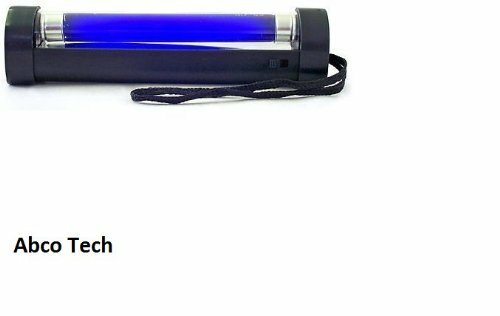 (Not Included) •Long wave UV Light. •365 nm.